In 1975, Colin Touchin began tutoring at the Stockport Recorder College, which had been set up by Dennis Bamforth (Colin’s music and recorder teacher at William Hulme’s Grammar School in Manchester) and Colin Martin. There he founded the first regularly rehearsing Recorder Orchestra in the world, comprising advanced students, eventually numbering almost 40 Grade 8+ players of ages 15 – 18, who gave many concerts, including a 90-minute programme on a 4-concert South Manchester tour. Orchestras in London and Manchester soon followed but it was November 1992 before the orchestra for the Midlands, HERO, first met at Centre 13, Moseley, Birmingham. Thirty five people attended from as far afield as Basingstoke, Sheffield, Oxford and Worcester. The meeting was conducted by Paul Clark who had agreed to become the orchestra’s permanent conductor. He selected a challenging programme consisting of Werther’s Aria from Act Two of “Werther” by Jules Massenet, Suite in Three Movements by Douglas K. Mews, the Overture Russlan and Ludmila by Glinka, The Arrival of the Queen of Sheba (from Handel’s “Solomon”) arranged by Paul, and Colin Touchin’s Showpiece for Recorder Orchestra. The object of the Orchestra was “to challenge, stimulate and provide a scene of action for eager high-level players, by exploring the Recorder Orchestra repertoire with a view to public presentation”. The idea was that the Recorder Orchestra should seek to provide a higher level of playing than the average SRP (Society of Recorder Players) group, and should also explore the sonorities and textures available from a large group of like instruments - in a similar way to a brass band or string orchestra. The Orchestra would meet on the fourth Sunday of each month (except August) from 2 – 5pm at the Arts Centre, University of Warwick. The Orchestra gave its first concert on Saturday 22nd May 1993 with the All Saints Chamber Choir at All Saints Church, Stretton on Dunsmore near Rugby. Since then the Orchestra has performed regularly in concerts often combining with different choirs and younger recorder players throughout the Midlands. In the summer of 1994 members of the Birmingham Schools Recorder Sinfonia joined the Orchestra to make a recording of ‘The Winds of Change’ by Michael Short, which was later used in a documentary programme on windmills, filmed in Norfolk. The Orchestra organised the first of many Combined Orchestra Playing Days on Sunday 24th September 1995. Members of the Manchester and London Recorder Orchestras travelled to Coventry to attend and the three conductors (Paul Clark, Dennis Bamforth and Denis Bloodworth) shared the conducting. 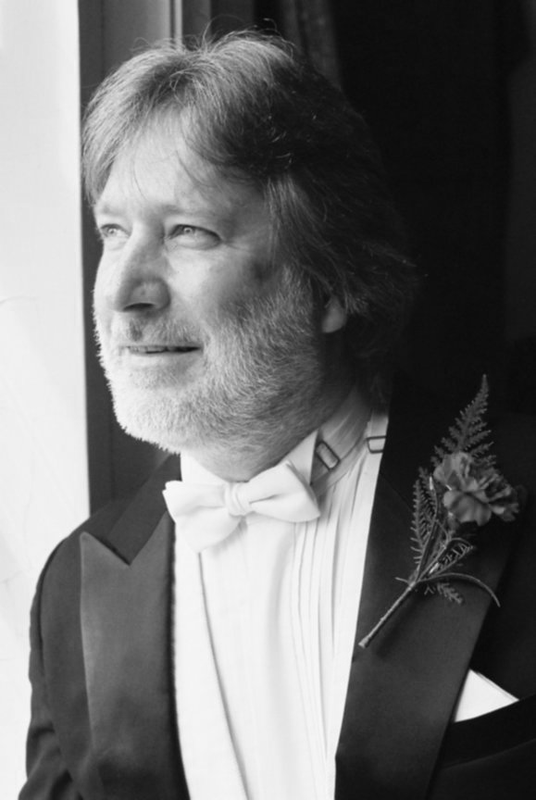 Paul Clark conducted the Orchestra until June 1999 (almost 7 years) when Colin Touchin – who was then the Director of Music at Warwick University - took over. Colin had been very supportive of the Orchestra from its inauguration, allowing the Orchestra to use the Ensemble Room at the University for rehearsals, and continued to conduct HERO for several years. From December 2002, SRP conductor Terry Gill travelled from Nottingham each month to conduct the Orchestra, and in September 2005 former member Grace Barton took over from him. The Orchestra rehearsed at Westwood Heath Church for a few months before moving to its present rehearsal venue – St James Church, Styvechale, Coventry. Unfortunately due to increased teaching commitments and the distance from the Wirral, Grace had to resign before her agreed period of time. Caroline Jones very kindly and enthusiastically agreed to conduct the Orchestra for the remaining 6 months before Colin Touchin returned in September 2007. Following the return of Colin Touchin, rehearsals were extended by half an hour and moved to the second Sunday of the month, and HERO gave the world premiere of Raymond Head’s Recollections of Sun and Water, dedicated to Colin Touchin, at Bromsgrove. A lottery grant in 2008 from 'Awards for All' increased the number of large instruments in the orchestra by enabling us to purchase two Kung Superio Great Basses and one Kung Superio Contra Bass. These were made available to play by HERO members, and greatly enhanced the orchestra's depth of sound. 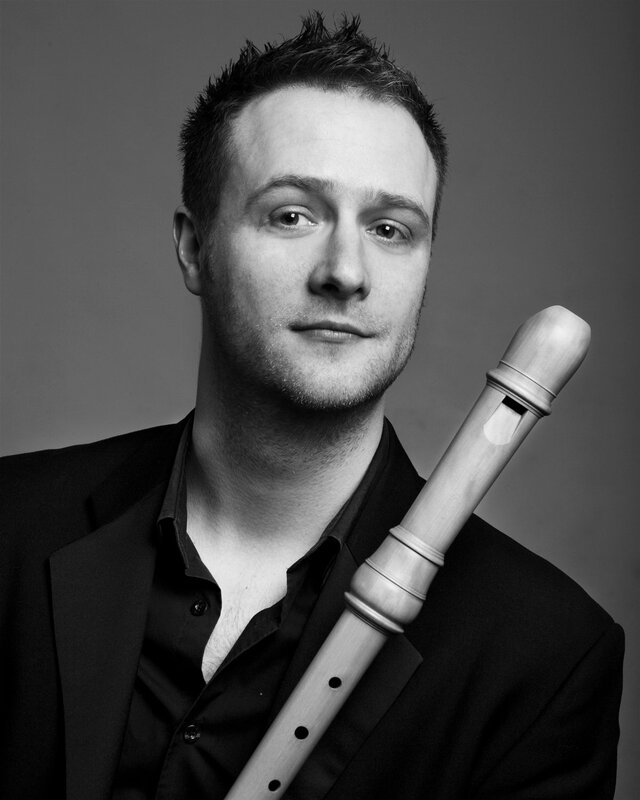 Christopher Orton is active as a recorder player, music educator and conductor throughout Europe. He has performed as a soloist and chamber musician at prestigious venues including the Bridgewater Hall, Manchester, Symphony Hall, Birmingham, Krakow Philharmonic Hall, Budapest Castle, the Wigmore Hall, and recital and concerto engagements in Italy, Netherlands, Germany, Poland and France. Recent festival performances include solo recitals for Stratford upon Avon Music festival, and the 2011 Huddersfield Contemporary Music Festival. Comfortable in many genres, Chris performs in regular Baroque ensembles, duos with piano and guitar, and frequent solo recitals focusing on works utilising live electronics and multimedia. He has inspired numerous composers to write for him, and recent commissions include substantial works by Edward Gregson and Thomas Simaku. As a conductor and ensemble director he is involved with numerous youth organisations, including the National Youth Recorder Orchestra, Stockport Youth Orchestra, and previously with the Birmingham Schools’ Recorder Sinfonia. Recent conducting engagements include working with Birmingham Conservatoire String Ensemble, conducting recorder and harpsichord concerti by Arnold Cooke and Walter Leigh, with international recorder soloist Dan Laurin and his wife, harpsichord player Anna Paradiso-Laurin. Chris teaches improvisation, chamber music and recorder at Chetham’s school of music, Birmingham Conservatoire, and for Manchester music service. He is also studying for his Certificate in Dalcroze Eurhythmics at the RNCM. A graduate of Birmingham Conservatoire (studies with Ross Winters, Annabel Knight and Louise Bradbury) and a former private student of Anneke Boeke in Amsterdam, Chris was the first ever winner of the John Hoiser Trust scholarship for £5000. Chris was had success in a number of competitions. These include 1st prize in the 2007 Moeck/SRP International Solo Recorder Competition, a BBC Performing Arts Fund bursary for £20,000 (2007), 2nd prize, Prix de Jury and Gaudeamus Prize at the International Competition of Contemporary Music ‘Krzysztof Penderecki’ in Poland, Silver Medal of the Worshipful Company of Musicians and 1st prize in the Birmingham Conservatoire/Symphony Hall Recital Competition. He has broadcast live on BBC Radio 3 and BBC TV, including live broadcasts and interviews on BBC Radio 3 programme, ‘In Tune’. Colin Touchin is a conductor, composer, clarinettist and recorder-player and has been an adjudicator for 30 years. He gained the LTCL Performer’s Diploma on recorder at the age of 16 and played in masterclasses with Jeanette van Wingerden, Ferdinand Conrad and Konrad Huenteler. He has composed extensively for Recorder Orchestra and with his father founded Tomus Publications. Recently he has led workshops in Recorder Orchestra in Switzerland, and Masterclasses for Recorder Orchestra conductors in Taiwan. During eight years at Chetham's School of Music (including two as Head of Composition) and almost fifteen as Director of Music at the University of Warwick, Colin has a distinguished record of conducting, composing for, and encouraging young musicians in orchestras, bands and choirs. The University of Warwick Chamber Choir and he gained gold or silver awards at almost every international festival entered including televised semi-finals of Sainsbury's Choir of the Year in 2000 and performed with the London Mozart Players and the Royal Philharmonic Orchestra. With wind ensembles from the University of Warwick, Colin commissioned new works and gained many awards in the National Concert Band Festival, including Gold at the Open Class Final in 2002; it is believed this award and the Choir's competition record are unique for any British university. He has founded several ensembles - including Warwick Orchestral Winds, the British Universities Honours Band, and the National Youth Recorder Orchestra - and has conducted the National Youth Wind Orchestras of both Britain and Luxembourg. His compositions have been broadcast on national and local radio and television, and he is increasingly in demand to write to commission, and to lead workshops in conducting, clarinet, recorder, teaching and adjudication, having given such presentations now in over 20 countries. He is Conductor of Derbyshire City and County Youth Wind Band, Musical Director of Warwickshire County Youth Orchestra, a regular guest conductor of the Essex Chamber Orchestra, Associate Conductor of London Charity Orchestra, and founder/conductor of Spires Philharmonic Orchestra and Chorus in Coventry. He has played a significant role in the activities of the British and International Federation of Festivals during the last decade, including membership of the Core Team for the Festival of Festivals, and the current post of Vice-Chairman. 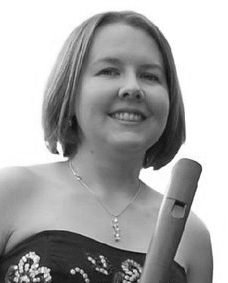 Grace Barton graduated from the Birmingham Conservatoire in 1998 with a First Class BMus Hons degree and went on to gain a Diploma in Professional Studies in recorder performance. In 2004 she graduated from the Royal Conservatory in The Hague, where she had studied recorder performance with Reine Marie Verhagen and Historical Performance Practice with Peter van Heyghen. Grace has performed as a soloist on various occasions in the UK performing concertos and other solo repertoire. Between 2004 and 2010, Grace taught recorder and gave performance practice workshops at the Birmingham Conservatoire. She has tutored at the Northern Recorder Course, Cheltenham Recorder Festival and North West Early Music Forum Summer School and gives Advanced Recorder Workshops and private music tuition in Birkenhead. Grace was director of the Heart of England Recorder Orchestra from 2005 to 2007, and currently directs the Wirral Recorder Orchestra. She is a guest conductor at branches of the Society of Recorder Players and performs as part of the Polyphonica Trio. Terry Gill is an experienced oboe/recorder teacher and player, who taught music at the Minster School’s junior department, of which he was the head before retiring in 2001. The founder conductor of the Nottingham Youth Training Orchestra, he is also an SRP conductor and the Musical Director of the Nottinghamshire branch of the SRP. 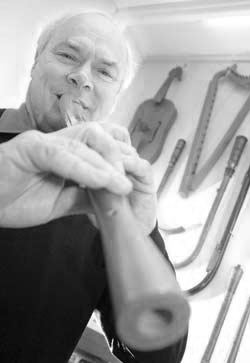 A prominent figure in the recorder world, Paul Clark was perhaps best known for his work with the Society of Recorder Players, for his teaching on various courses and summer schools, and for his many fine compositions and arrangements. 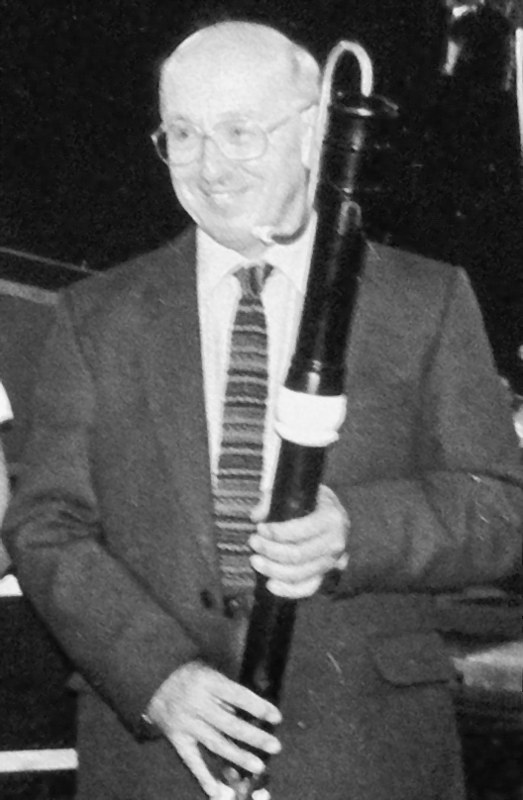 He was also the inaugural conductor of the Heart of England Recorder, conducting the group for almost seven years until June 1999. Sadly, Paul died in November 2013. The Clark Collection - about 120 pieces for recorder consorts and ensembles, all arranged, set or transcribed by Paul Clark - can still be purchased from Recorder Music Mail.